In 1987, two friends joined forces to create a legendary group that we'd never forget. Tariq Trotter, known to most of us as Black Thought, and Ahmir Thompson, known to most of us as Questlove, put together a group called The Square Roots, and music would never be the same again. 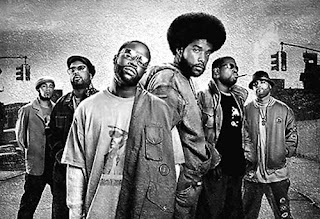 After dropping the "Square" from their name in 1992, The Roots would become known as one of the greatest hip hop groups ever. With 11 albums under their belt, and a few collaborations with big artists like Betty Wright and John Legend, they've carved out their own legacy. They have many potential classic albums, and some mainstream success, earning the distinction of having one of the most consistent catalogs in hip hop and music in general. What is their best album? What is their worst? Today, we take a look at The Roots, their albums, and rank them from worst to best. Let's get into it. -While I'm sure many people enjoyed this album, this was really a strange project. It's not a "bad album" by any stretch of the imagination, but it just pales in comparison to the previous releases they've had. It's a conceptual album and it was one that received a bunch of acclaim from critics, but it's missing something. There's some experimental music here, which usually would work in their favor, but on this project, there's just something missing. I did enjoy a few of the songs like "Never", "Tomorrow", and "The Unraveling", but overall this is a tougher project to listen to from the group than usual. It's a solid album, just doesn't hold up to the rest of their amazing catalog. 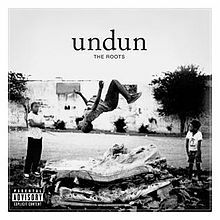 -While I think this album is the most simplified of the Roots album (and it was done purposely), I do think that it's a solid album. The only thing that lacks for the most part here is surprisingly the production. With some contributions from Scott Storch, this is the closest attempt to a mainstream album that you'll hear from The Roots. Still, there are highlights like the beautifully sampled production on "Star", the interesting single "Don't Say Nuthin", and the solid Devin The Dude and Jean Grae featured "Somebody's Gotta Do It". Black Thought lyrically doesn't slack at all, and while he does his thing there, the album does leave a bit of a bad taste in the listener's mouth. It felt like an attempt to conform from a group who never had to before, and while it works on this album most of the time, it lacks cohesion and sequencing to make this an album worth listening to more. -This album is one of the more slept on projects from the group, and their debut album. 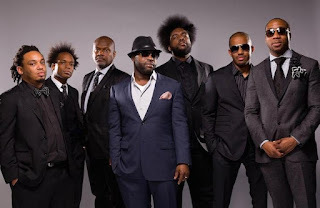 It's the rawest album from the group, much like most debuts are, but the thing about the Roots is that as they grew, so did their musical prowess. This is a great listen and a more youthful Roots crew made amazing songs like "Pass The Popcorn", "The Anti-Circle", "Grits", and "The Session", which was subtitled "The Longest Posse Cut In History", and at nearly 13 minutes, that recorded still hasn't been defeated. Organix was a great introduction to a great group of talented musicians and artists, and it hinted at the greatness that was to come. -One of the most thought provoking albums from the group, Rising Down is yet another underrated gem from the group. 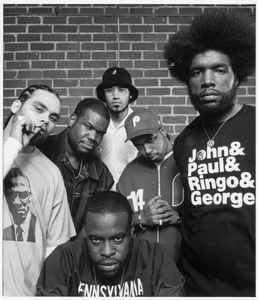 Their time at Def Jam is truly slept on, as the group stayed true to their art and what they do, while seeking a bigger audience to enjoy what The Roots bring to the table. 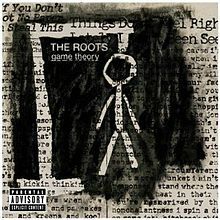 This album was based on a book of essentially the same title, and it possesses dark elements that are continued from their 2006 release, Game Theory. 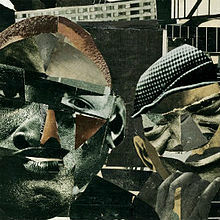 This album features appearances from Mos Def, Styles P, Saigon, Common, Wale, and more, as songs like the title track, "The Show", the Wale featured and Go-Go inspired "Rising Up", and the instant classic "75 Bars", where Black Thought spazzes out of his mind lyrically help to shape an album that only a few minor flaws and could have ended up as a true classic in the catalog. Regardless, Rising Down is still a great album. 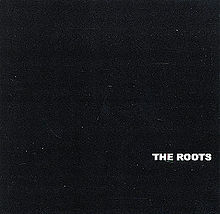 -This slept on release is a concept album, which is no shock considering how creative The Roots are. This album centers around the life of a fictional character named Redford Stevens and through the album, we see his created story told in reverse chronological order through the songs. The features on this album include the talented Big K.R.I.T., the legendary Phonte, the incomparable Bilal, and Just Blaze. 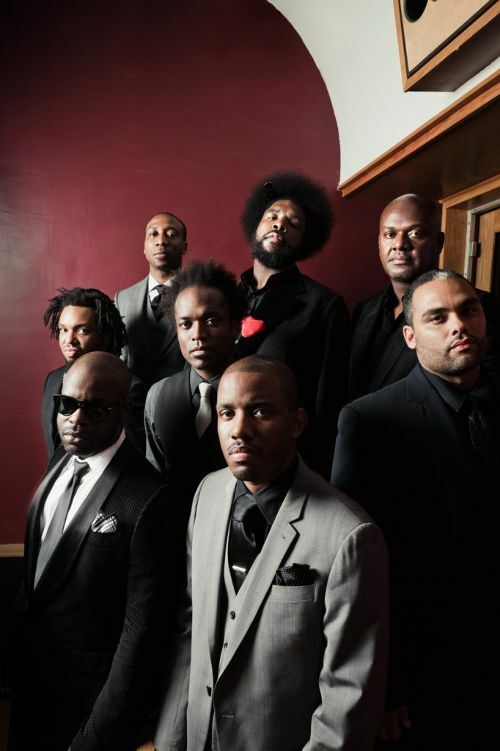 Along with the amazing narrative in place for this album, The Roots just manage to make a great flow of music period, with songs like the KRIT assisted "Make My", the Phonte assisted "One Time", "I Remember", and the Bilal featured "The OtherSide", all of which are top tier tracks on a very enjoyable effort from the group. There aren't many groups that could be able to create such an amazing and original listen on their 10th album, but that's what makes the group so great. -Their first album on Def Jam is supremely underrated in essence, and sometimes doesn't get the credit that it should in reality. This features a much a darker vibe than their previous two albums, and it's a welcome change in a way. 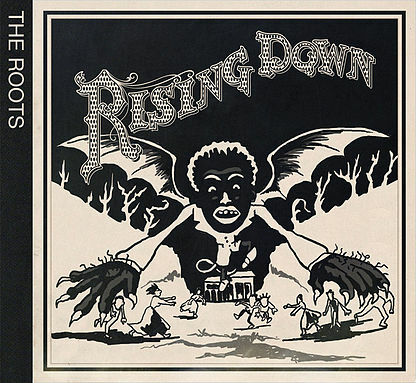 The Roots go to darker depths with this album and the cover speaks volumes in its own right. There is less of an emphasis on hooks and melody here, and virtually no big name features, allowing for Black Thought to once again control the album lyrically while shining next to Malik B. and Dice Raw. Overall, the album walks very close to the classic line, and with tracks like "Atonement", "False Media", the title track, and "Long Time", The Roots put a full fledged statement on their new relationship with Def Jam. -After making their debut, the group released their sophomore project, which is very dope, but also possesses an interesting title when you look at the question marks and exclamation points. 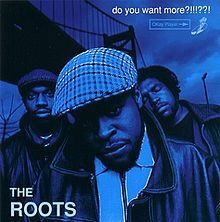 It reeks of an exasperated artist, asking the fans if they want more music, if they want more substance, or do they just want "more", and The Roots gave them just that on this album. This was the epitome of mid 90's hip hop jazz, as the live instrumentation helped give their music a sound that couldn't be duplicated by the hip hop artists who perfected hip hop jazz before. On this album, they made classics like "Distortion to Static", "Lazy Afternoon", "Proceed", and many more that helped round out an album that could honestly be considered a classic. 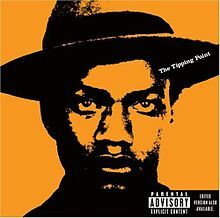 In my opinion, this album is a classic and it is definitely a top 5 release in the Roots catalog. -A personal favorite of mine, this album was one that I actually consider the easiest to listen to, despite a more somber tone with this one. There are themes that resonate here like salvation, the ills of modern society, existentialism, and internal searching, all of which blend together very well to create one extremely cohesive listen. The production ranges from Neo-Soul lite, rock tinged rhythms, and jazzy funk, which is the best lane for The Roots really (meaning multiple style influences are when they are at their best). My favorite tracks off this album are "The Day", "Walk Alone", "Dear God 2.0", "Radio Daze", and "The Fire", all of which are smooth listens overall. Another thing that makes this album a favorite of mine is the features, which showcase two of my favorite MCs, Blu and Phonte next to Black Thought, as well as a few appearances from John Legend, who was one of my favorite singers at the time. 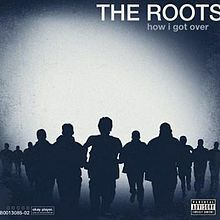 Overall, How I Got Over is a masterful listen, and a classic to me personally, and it was the best hip hop album of 2010 (yep, over you know what). -This is honestly my favorite Roots album and I sometimes think it gets severely slept on. It's more eclectic than their prior efforts and features a few songs that could have been real gambles. However, experimenting with music is what the Roots do, and they did it the best on this project. 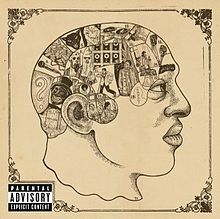 With a feature from an MC like Talib Kweli, along with contributions from amazing singers like Jill Scott, Cody Chestnutt, and Musiq Soulchild, Phrenology is one of those albums that requires multiple listens to fully digest, because it's that abstract and dope. From the smooth and seductive rhythms of "Break You Off" with Musiq Soulchild killing the hook (that was originally and clearly for D'Angelo, and there's an original version with D'Angelo on it) to the Cody Chestnutt hit "The Seed 2.0", and my personal favorite song "Complexity" featuring Jill Scott, this album has everything for everybody essentially. It's a contemporary hip hop album, and it's one of the best of its kind. the talented Common, the legendary Q-Tip, the underrated Raphael Saadiq (who was still the front man for Tony Toni Tone at the time) and the incomparable D'Angelo, this album is essentially the bridge between jazz rap and Neo-Soul hip hop. The production is flawless from beginning to end, and lyrically, Black Thought has one of his most diverse showings all over the album. Tracks like the single "What They Do", the D'Angelo featured "The Hypnotic", the dope "Clones", and the Common and Black Thought rhyme fest "UNIverse At War" help to round out another classic from the group. -Their most popular album is their best. Though many of the group's albums could have been at this top spot because their catalog is so great, I don't think they have any album that compares to this besides Illadelph Halflife. 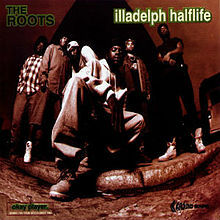 However, what this album has that Illadelph didn't is the full Neo-Soul hip hop experience, along with a slight blend of jazz rap as well as the best sequencing of an album in the group's long storied history. Yes, sequencing matters in an album, and the cohesiveness in this project elevates it to being one of the best hip hop albums of the 1990s and one of my personal favorites of all time. In a way, this album signals what I feel was the true birth of the Soulquarians and that itself is a huge feat for any album to claim. Some of the most vital elements and themes that's present on this album include a darker fragmented look at society, underlying forces of racism, , the infatuation and affection for the hip hop genre, and of course, the universal law, love. With features from Beanie Sigel, Common, Mos Def, DJ Jazzy Jeff, Eve, Erykah Badu, and more, The Roots bring one of the best melancholy and dark sounding hip hop albums of all time. My favorite songs on this one are "Double Trouble" with Mos, "You Got Me" with Eve and Badu, "Adrenaline with Beans and Dice Raw, the J Dilla produced "Dynamite! ", and the Common assisted "Act Too (The Love Of My Life)", all of which helped to round out a true classic album. 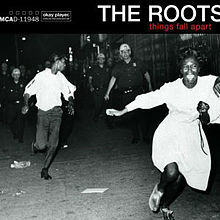 The Roots have a lot of great albums, but Things Fall Apart is their best. So, does Wise Up Ghost not count?